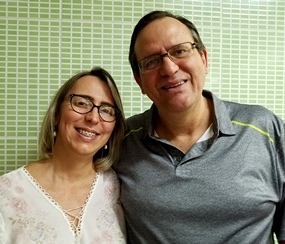 "to support and encourage the work of our brothers and sisters in Christ in the country of Brazil and to support the ministries of their churches, giving special emphasis to helping with the ministries of their children's programs. 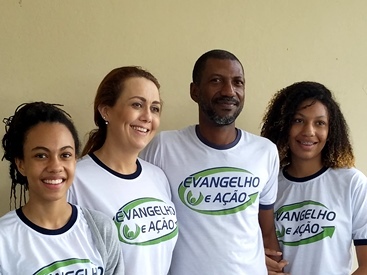 We strive to demonstrate the love of Christ through works of service to these churches as well as to other Christian missions and missionaries in the country of Brazil as we have opportunity - to be God's "hands and feet" and His servants to His children in Brazil." Why Brazil? Why should we help? Approximately 25% of the population of Brazil is living below the poverty line. 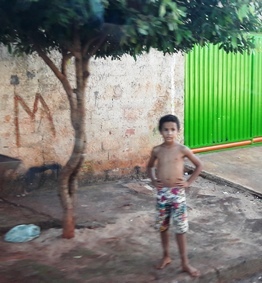 But when looking at the statistics pertaining to Brazil’s children, roughly 40% of children age 14 and under live in low-income families, and about one-third of those children are in families considered to be in extreme poverty. While the majority of Brazil’s children are enrolled in school, many of those children will leave school after finishing the 9th grade because they need to work to help support their families. 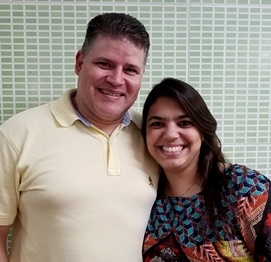 His Hands for Brazil has partnered with Pastor Roberto and Pastor Dennis to help bring hope to the children of Brazil through child sponsorship. 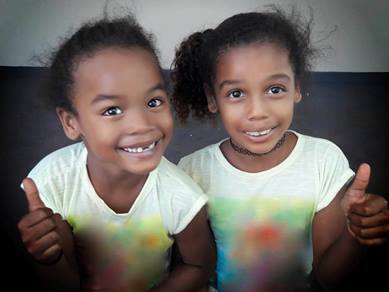 Pastor Jacimar, and the members of their church, are running the Gospel in Action program for the children in the Blue Lake One and Blue Lake Two neighborhoods. The program takes place on Saturdays and the children participate in a Bible lesson, crafts, games, soccer, and are provided with food. This type of assistance demonstrates the love of Christ and helps meet both their physical and spiritual needs.